INNI- K: Inni-K’s music draws on her extensive background in folk and traditional Irish music, even as she ventures into new musical territories. Her music combines ethereal vocals with deft musicianship, evocative lyrics (bilingual at times), and a unique approach to song-writing. Having shared stages with various renowned musicians including Malian kora master Toumani Diabaté, drummer Jeff Ballard, Glen Hansard, Liam Ó Maonlaí, Lisa Hannigan, and many more, Inni-K is becoming a well-established presence in Irish music. She recently sold out the Irish Arts Centre, New York, was an Official Showcase performer at Folk Alliance International music conference in Montréal as part of her U.S. and Canada tour dates, and is now set for a busy time ahead touring her new album in Ireland, UK and continental Europe. 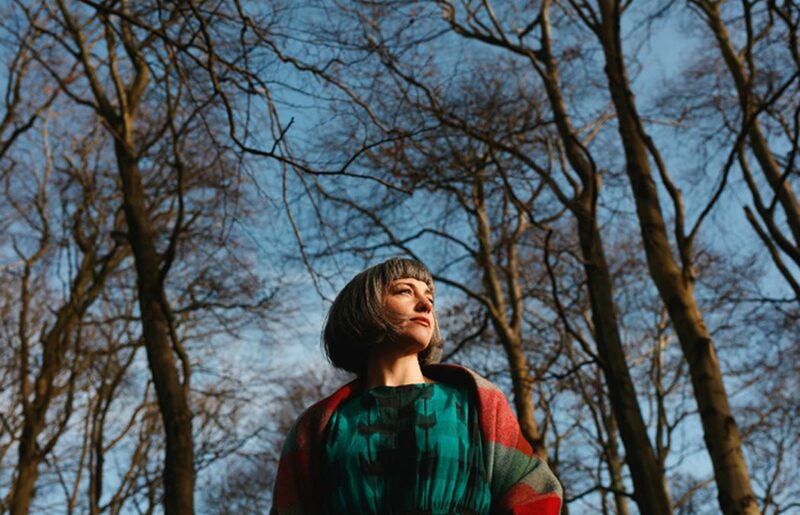 Named by RTÉ.ie as “one of ten fierce women defining Irish culture”, Dublin-based singer, multi-instrumentalist and songwriter Inni-K has received consistent praise for her fresh style of indie-folk since the 2015 release of her acclaimed album ‘The King has Two Horse’s Ears’.